We are thrilled to announce that tickets for Every Man Was Singing, ECMVC’s centenary concert, are now ON SALE! 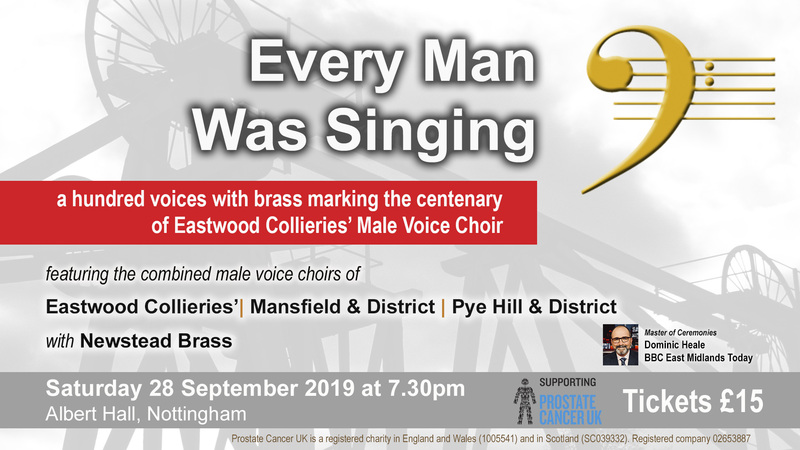 ECMVC will be joined by Mansfield and District Male Voice Choir and Pye Hill and District Male Voice Choir to form a choir of a hundred voices, with Newstead Brass providing first-class brass band entertainment. The compere for the evening is non other than Dominic Heale, BBC East Midlands Today and ECMVC Vice-President. It may seem a long way away but we really want to give our friends and supporters as much notice as possible, so that clashes of dates can be avoided. Although the venue can accommodate an audience of several hundred, we do anticipate tickets to be in great demand, so having tickets on sale this far in advance does give you the opportunity to be sure of a seat. Seats will not be numbered on the night – the tickets will be for unreserved seating – but turning up in good time will allow you to choose a good seat. You will see below that tickets can be obtained in a number of ways, including online via TryBooking, using credit and debit cards. There is a small charge associated with online ticket sales. We also have a box office facility operated on our behalf by the Nottingham Tourism Centre. Of course, tickets will also be available from choir members. 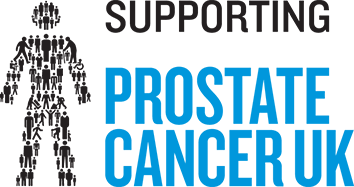 ECMVC has partnered with Prostate Cancer UK as its chosen charity for the centenary year and we hope that this concert will get our contribution to the charity off to a great start. For all the event details, please see the concert page on the website. We really hope you can join us at this exciting event, which marks the start of a hugely significant year of celebrations. Previous Entry: Notice of two important dates – with more to come!